NFL quarterbacks are highly scrutinized. Some of the best arms are excluded from being considered ‘the greatest’ because they couldn’t get it done when it mattered most. Even though these quarterbacks don’t have Super Bowl rings, it doesn’t mean they didn’t accomplish some incredible feats during their career. There are a number of regular season MVPs and Hall of Famers on this list, as well as one quarterback who had FOUR chances to win it all, and came up short each time. Before the AFL-NFL merger, the Duke alum won the NFL Championship in 1960. The five-time Pro Bowler enjoyed an 18-year career, leading the league in passing on five separate occasions. But, after leaving the Philadelphia Eagles, he joined the Washington Redskins. The Redskins did make it to the Super Bowl in 1972. However, they would lose to Don Shula and the Miami Dolphins. By that point, Jurgensen didn’t even start due to an injury. Gabriel is considered to be one of the best players at the position during the late sixties and early seventies. During his sixteen-year career, Gabriel only made two postseason appearances, losing both times. Other than a short stint in the playoffs, the North Carolina State alum is a two-time passing yards leader, including being a four-time Pro Bowler. Since he didn’t play in the Super Bowl, Gabriel had a brief career in movies, playing a prison guard in Skidoo. Over the course of his 16-year career, Anderson was the leader of the Cincinnati Bengals offense. The Illinois native led the league in passing yards four times. In addition to winning the MVP award, Anderson helped the Bengals make a Super Bowl run in 1982. However, they would lose to the San Francisco 49ers. That run for the Lombardi Trophy was the first and last time Anderson had a shot at a ring. But, he did win one as an assistant coach for the Pittsburgh Steelers in 2009. 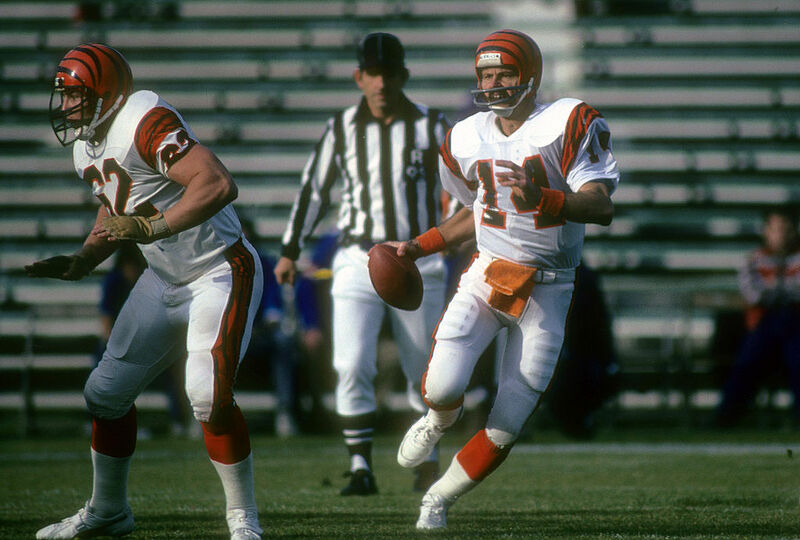 Up next, another Bengals quarterback who led the team to their second Super Bowl appearance in 1989. The father of Peyton and Eli had a ton of success in the NFL. 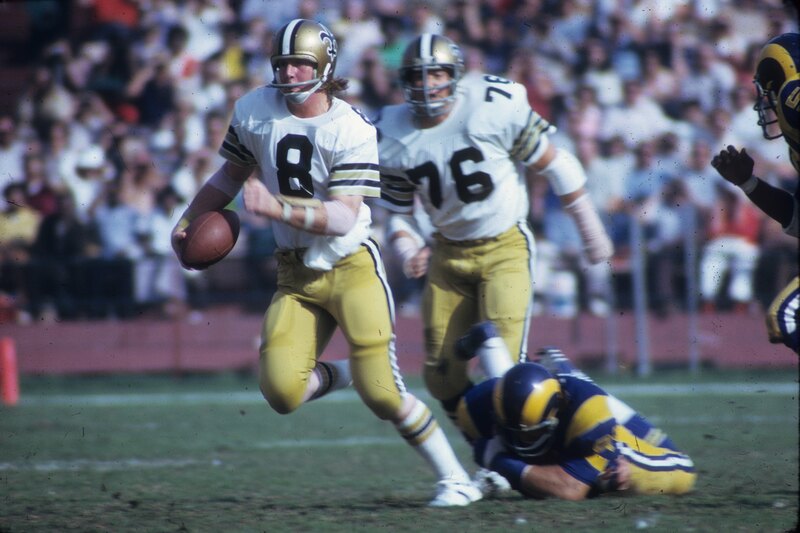 Not only was he a two-time Pro Bowler, but he was also a well-respected player for the New Orleans Saints. In 1972, the Ole Miss alum led the league in pass attempts and completions and led the NFC in passing yards. However, Manning was never able to have a winning season during his 10 years as a starter. 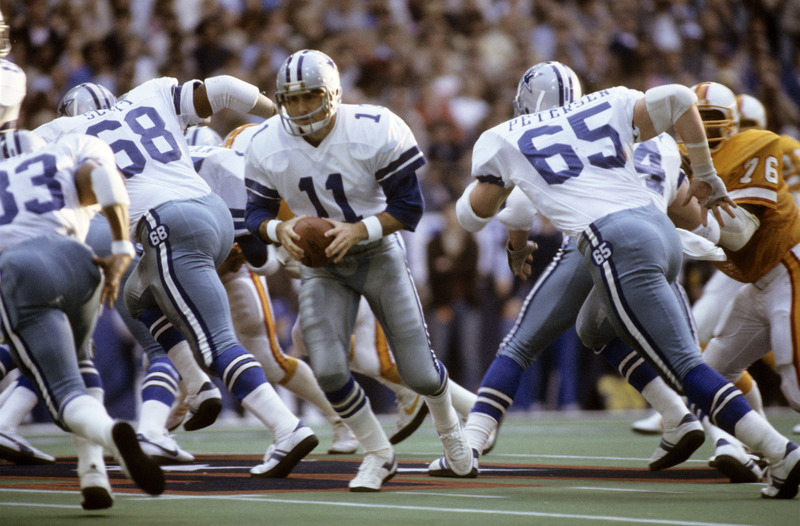 The original Dallas Cowboy was the first starting quarterback for America’s Team. Meredith was known for his toughness and leadership, especially during his less-than-spectacular seasons. As soon as the AFL-NFL merger took place, both the Cowboys and their quarterback found more success than ever before. 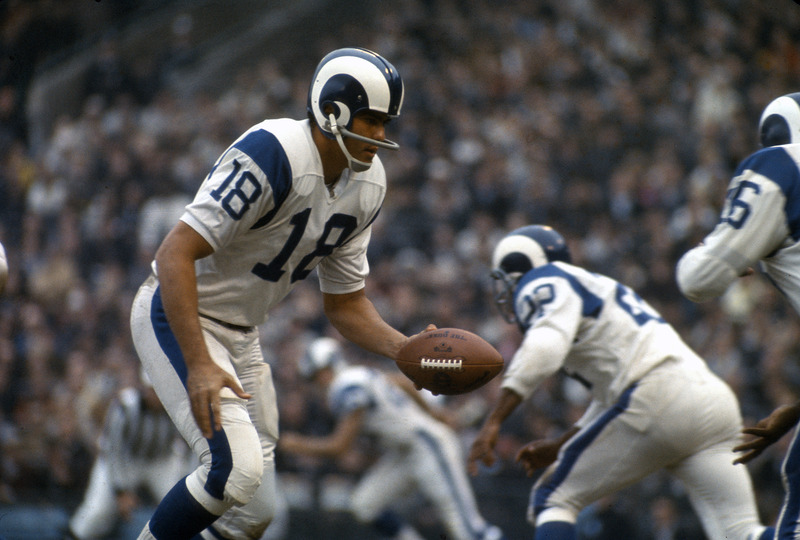 Meredith would lead the team to within a game of the first and second Super Bowls ever played. Unfortuantely, they fell short to the Green Bay Packers in both runs. 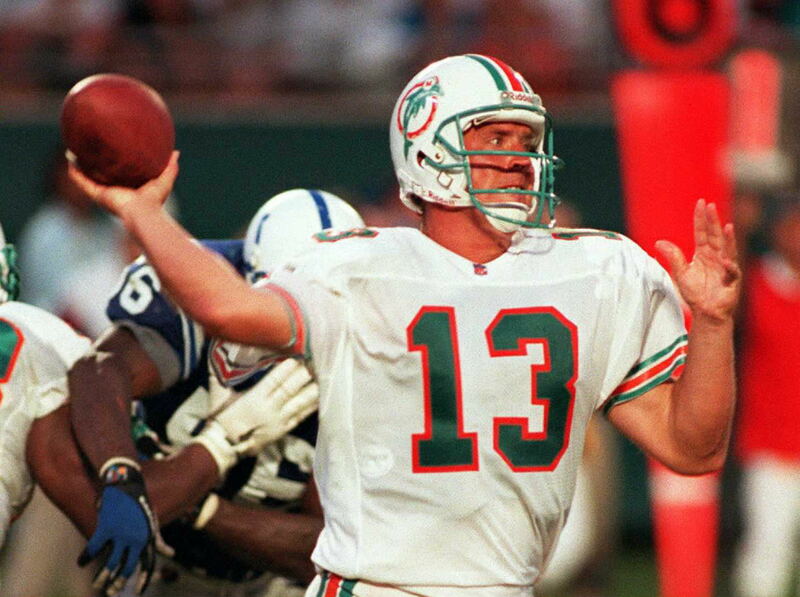 Esiason was a tough, efficient gunslinger. During his 14-year career, he earned four Pro Bowl trips and won the MVP award in 1988. 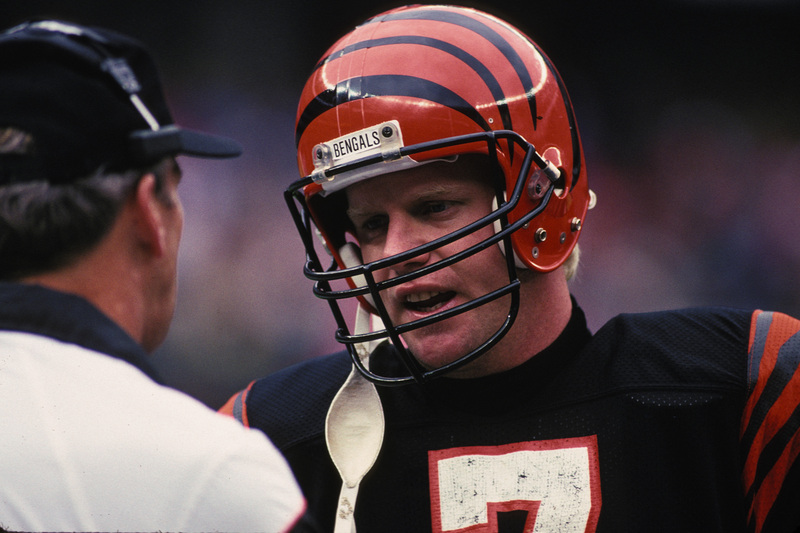 Like Ken Anderson, Esiason led the Bengals to their second Super Bowl appearance in 1989. However, it was no different than 1982, and the 49ers defeated the Bengals, again. That was the first and last time the quarterback would ever be in the big game. He would retire from football in 1997. A five-interception game would be the reason why the next quarterback ahead never took home the Lombardi Trophy. Even though he spent most of his career with the Philadelphia Eagles, Cunningham had much more success with the Minnesota Vikings. 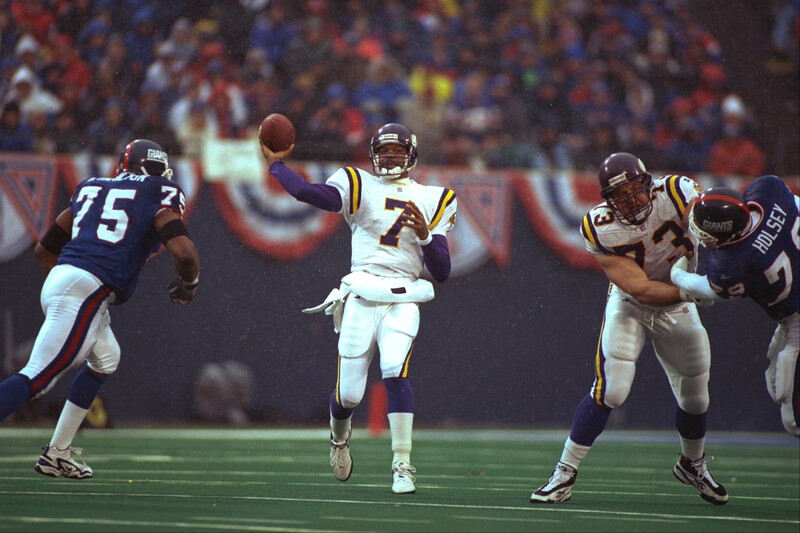 His rose to prominence in 1998, leading the Vikings to a 15-1 finish, including a deep playoff run. Unfortunately, Gary Anderson’s field goal miss completely crushed the people of Minnesota, and they ended up losing the game. Outside of the missed opportunity, the UNLV alum never made it past the Divisional Round during his 16-year career. Hart is the Arizona Cardinals career leader in passing yards and passing touchdowns. In 19 seasons in the NFL, Hart was a four-time Pro Bowler, and his five interceptions in that game remain the most in Pro Bowl history. Unfortunately, during his lengthy career, he only saw the postseason twice, and lost both times. Following his playing career, Hart and teammate Dan Dierdorf opened up Dierdorf and Hart Steak House. Through his first ten seasons, the Delaware alum bounced around the league. After stops in Minnesota, Washington, and Kansas City, Gannon found his footing in Oakland. 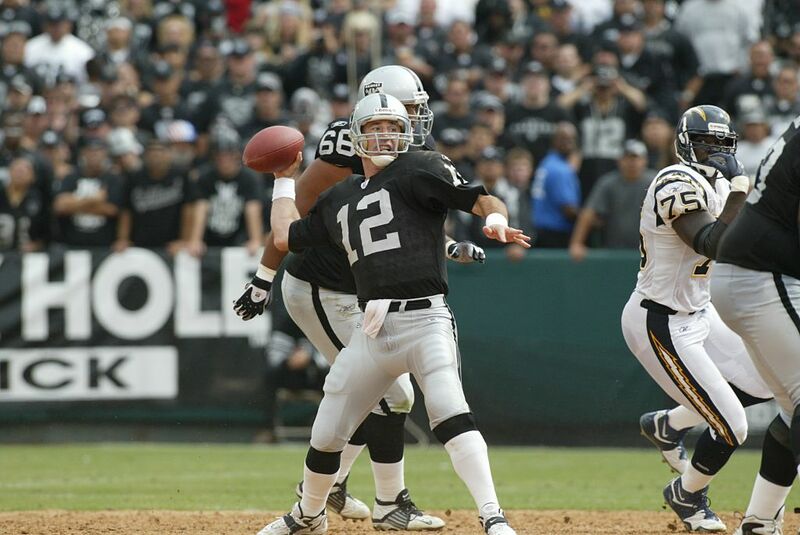 He found great success with the Raiders, and was named to four consecutive Pro Bowls and was named league MVP in 2002. In that same year, he carried the black and silver to Super Bowl XXXVII. However, a five-interception game would leave Gannon without a Lombardi Trophy to his name. When it comes to the postseason, this next quarterback never made it past the Conference Championship round. For 11 seasons, Krieg was the man in charge for the Seattle Seahawks. Seattle won an AFC West wildcard berth for the first time in its eight-year history and then knocked off Denver and Miami before losing to the Los Angeles Raiders 30-14 in the title game. Following his time in Seattle, Krieg also played for the Cardinals, Chiefs, Lions, Bears, and Oilers before retiring in 1998 after a 19-year career. 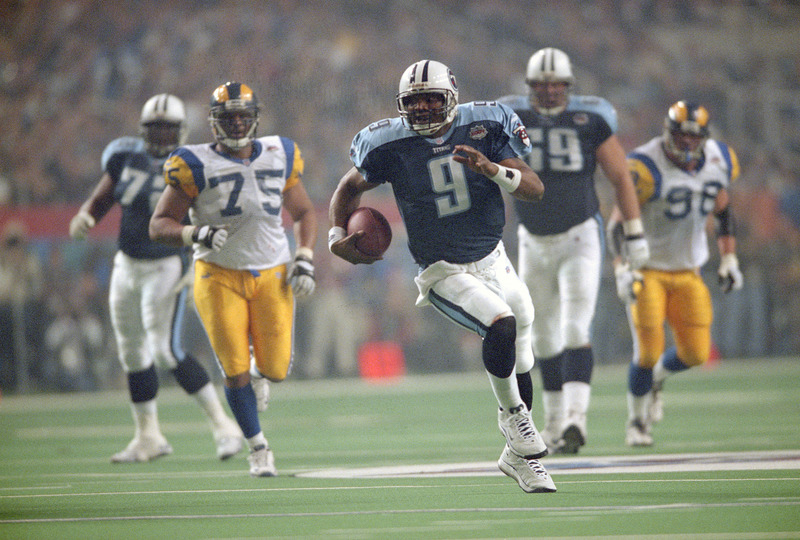 A single yard separated McNair from achieving victory in that title game. His last postseason appearance came in 2006 with the Baltimore Ravens. 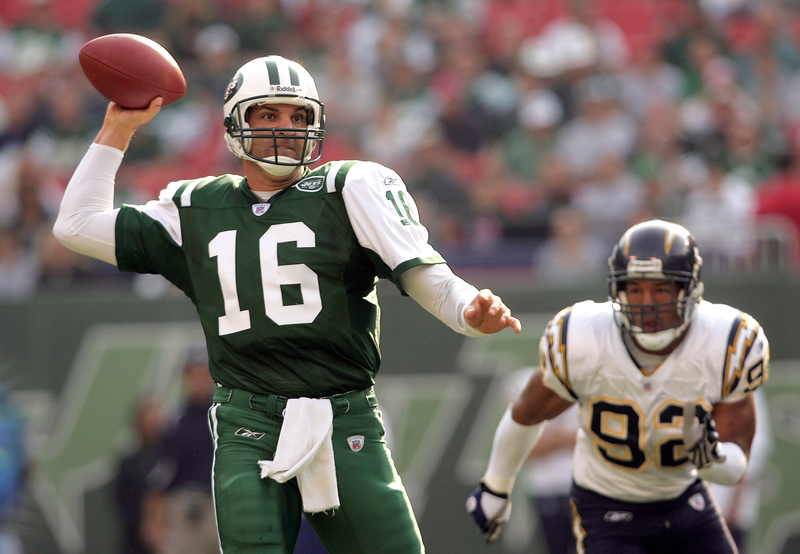 Testaverde’s professional career lasted 21 seasons, and he played with seven different teams. The Miami alum was drafted by the Tampa Buccaneers first overall in 1987. But, he had more success during his tenure with the New York Jets. The two-time Pro Bowler was not a notably successful quarterback in terms of wins and losses and his underachieving continued in the postseason, where he never made it past the Conference Championship round. 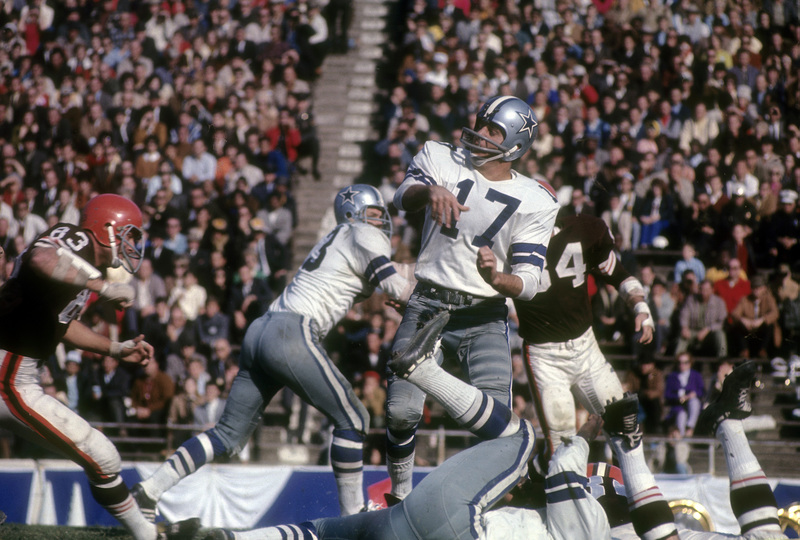 Despite the lack of a ring, one quarterback did everything he could for the blue and silver. Culpepper made a good choice choosing football instead of signing with the New York Yankees. Teaming with Randy Moss, the UCF alum broke a Vikings record when he tossed 39 touchdowns and only 11 interceptions in 2004. He helped carry the Minnesota Vikings to the NFC Championship Game, but they were trounced by the New York Giants. Unfortunately, a serious knee would end his tenure with the purple and gold. Following that, Culpepper never saw the playoffs again. 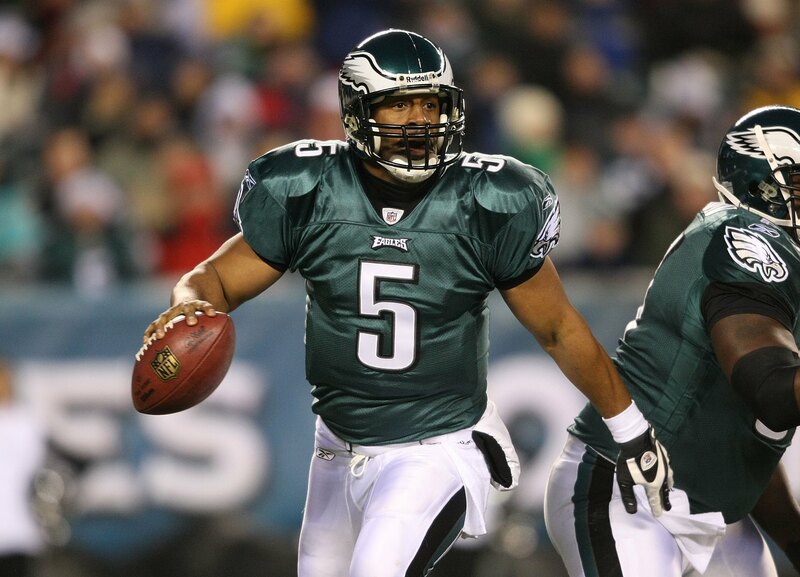 There’s no denying that McNabb was one of the best quarterbacks the Philadelphia Eagles ever had. Despite success with coach Andy Reid, the Syracuse alum always seemed to fall short of the main prize, like when the Eagles lost to the Patriots in Super Bowl XXXIX. 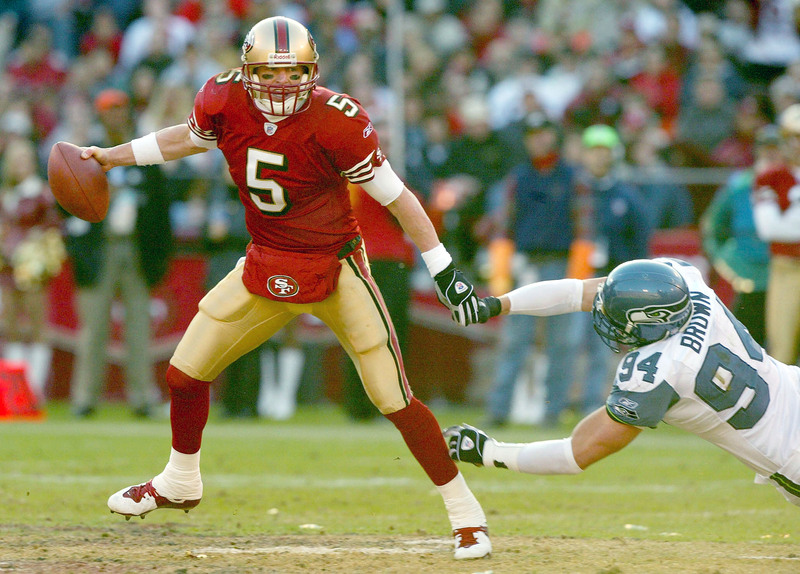 From 2000-2003, McNabb led the team to three straight NFC Conference Championship games, with all three ending in defeat. He was so close, yet so far from winning it all. Romo was known for crumbling under pressure during the postseason. History backed that assertion up, but he did do his duties in Dallas. 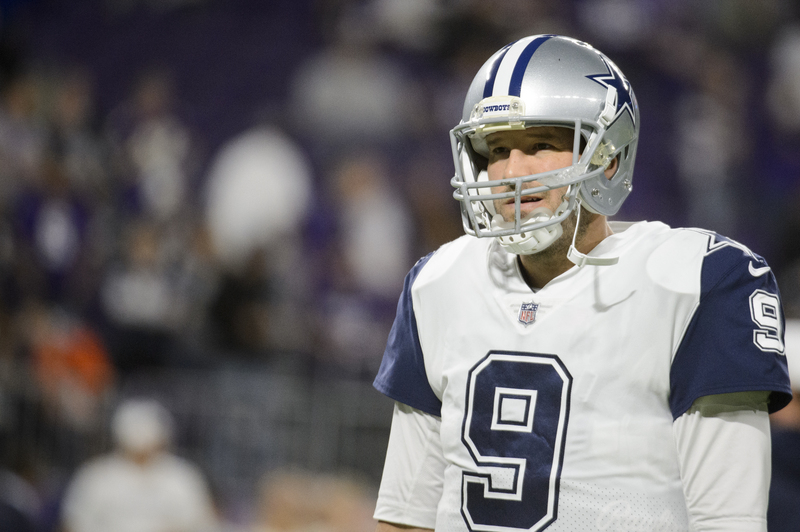 Romo had the proper talent around him, from Dez Bryant to Terrell Owens, for a few seasons. Even with star-studded receivers to sling the ball to, it wasn’t enough for the Cowboys to see a deep playoff run. Despite the lack of a ring, Romo did everything he could for the blue and silver. The quarterback who lost in four consecutive Super Bowls is up next. 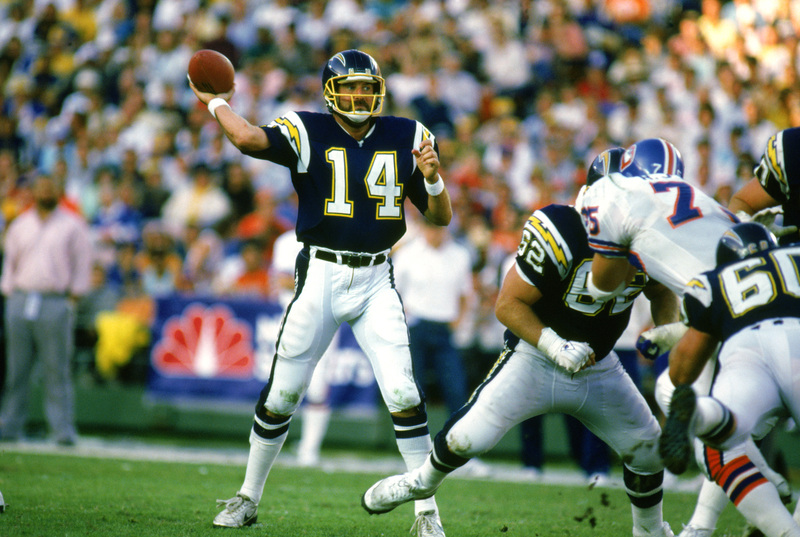 Fouts was the reason why the San Diego Chargers were consistent. Despite two AFC Championship appearances, the team just couldn’t reach the Super Bowl. However, it doesn’t eliminate the fact that he was the first player to reach 4,000 passing yards, which he did for three years in a row. Fouts even took home the NFL MVP honors during the shortened 1982 season. Luckily, the lack of postseason success didn’t shun him from becoming a Pro Football Hall of Famer in 1993. Moon was in the CFL before he even got a shot at the NFL. 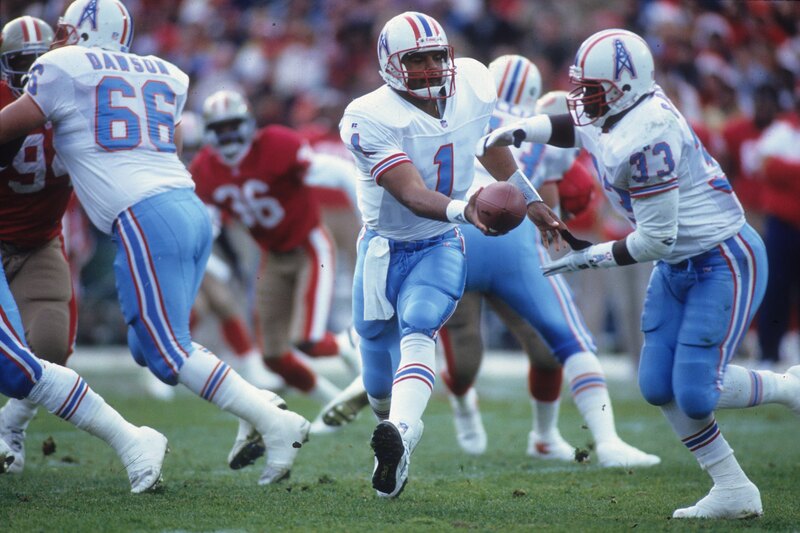 After that, he joined the Houston Oilers. Moon would become one of the most elite quarterbacks in his era, earning first-team All-Pro honors in 1990. Unfortunately, his regular season success never translated into the postseason. Not only did the Oilers not make a Super Bowl run, they never got past the Divisional Round. But, that’s okay because Moon won three Grey Cups with the Edmonton Eskimos. 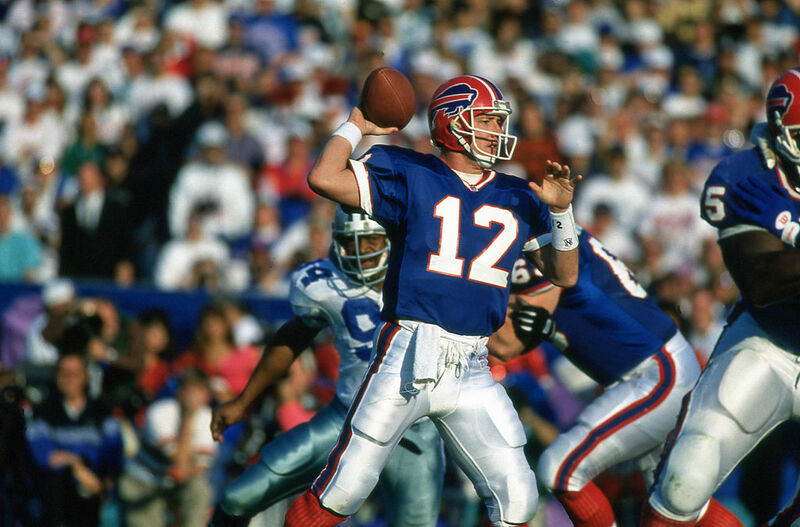 Losing in four Super Bowls will forever define the life of Jim Kelly. He was named as a five-time Pro Bowler who owns every passing record in the book for the Buffalo Bills. However, his 0-4 record in the Super Bowl is why people criticize him in the first place. Whenever he got into the big game, Kelly always seemed to crumble under pressure. But, that doesn’t take away the fact that he was the franchise’s one and only true franchise quarterback. 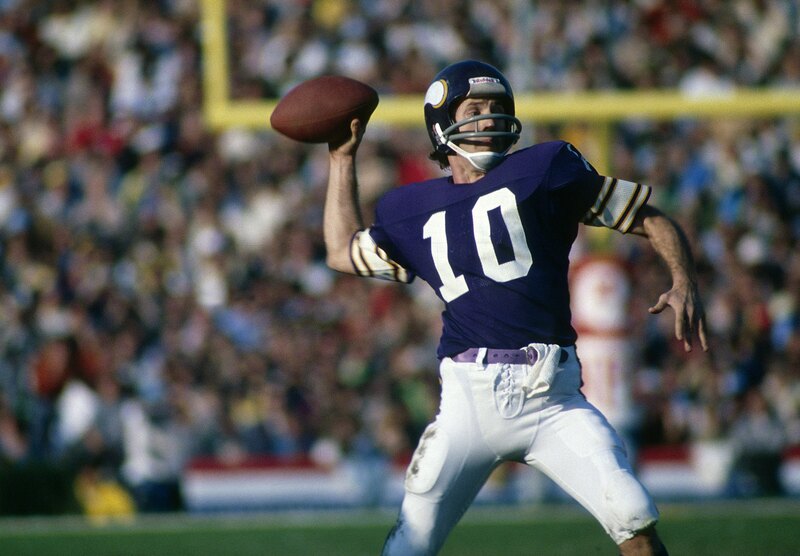 Tarkenton was a quarterback who was way ahead of his time. He was the master of scrambling to elude pressure and extending drives on the field. 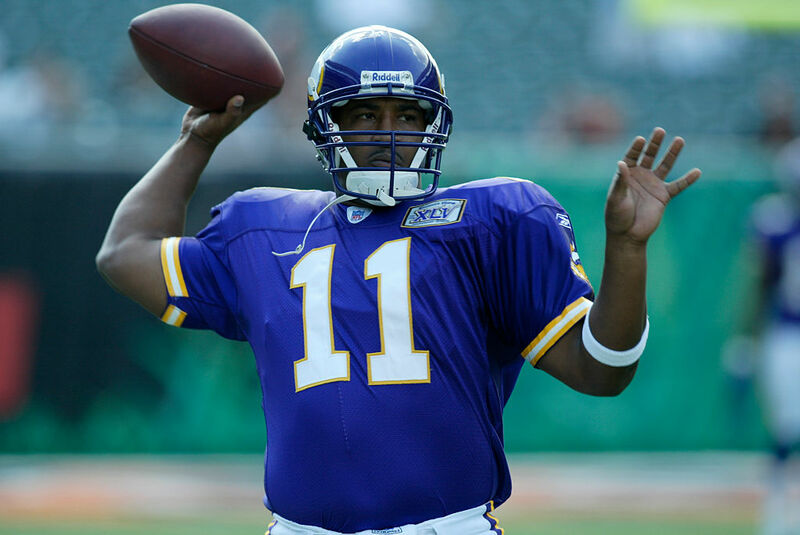 Most of his career was spent with the Vikings, along with a brief stint with the New York Giants. With the Vikings, the Hall of Famer led the team to three Super Bowl runs in four years. The run would be cut short all three times, as the Vikings are 0-4 in football’s biggest game. One of the greatest of all-time, Marino deserves credit left, right, and center. The quarterback was a superstar throughout his career, and parlayed that fame for a spot in the Ace Ventura movie. With all that success, the aspiring baseball player only managed to make it to one Super Bowl, where the Dolphins suffered a humiliating defeat at the hands of the 49ers. He’s still one of the league leaders in just about every statistical category and has eight Pro Bowl appearances to his name. While the next group of quarterbacks is still playing today, it doesn’t hurt to see which ones could walk away as a Super Bowl champion. The star quarterback of the Oakland Raiders almost quit the NFL to become a minister. Thankfully, he didn’t hang up the cleats when that thought crept into his mind. The younger brother to David Carr played like an MVP-caliber player in 2016. Then, he sustained a horrific knee injury. Since then, Carr signed a five-year $125-million contract extension that made him one of the highest paid players in the league. 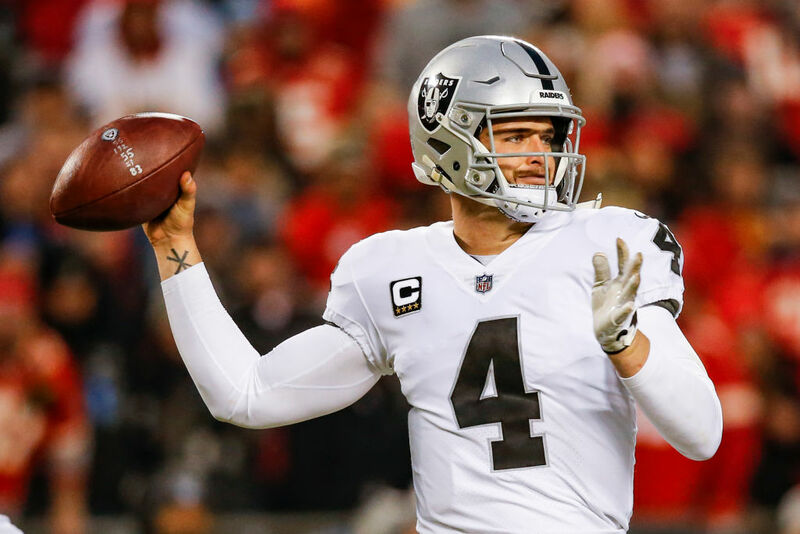 With a rebuild underway in Oakland, Carr could find new life down the road. The next quarterback ahead was drafted first overall and could win Super Bowl LIII. 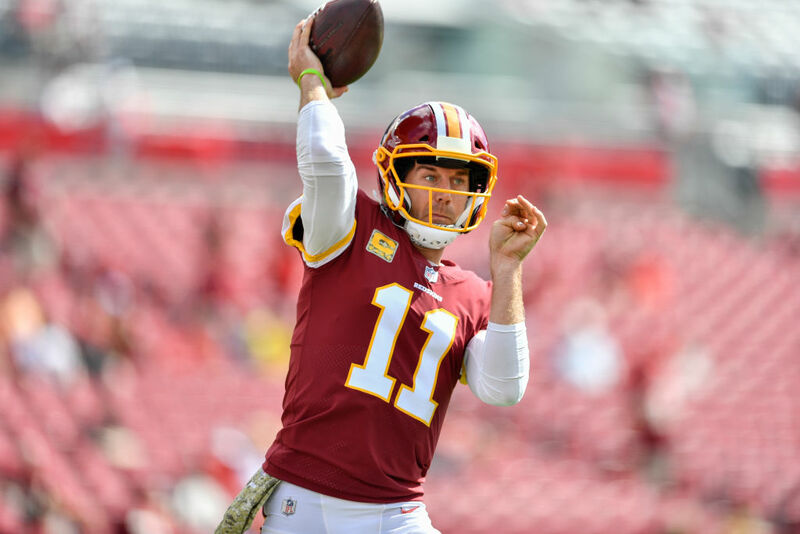 Cousins set numerous records with the Washington Redskins and appeared in the 2017 Pro Bowl. Then, the Michigan State alum settled for a big payday with the Minnesota Vikings in 2018. Much like Case Keenum in 2017, Cousins had high expectations to have success with his new team. 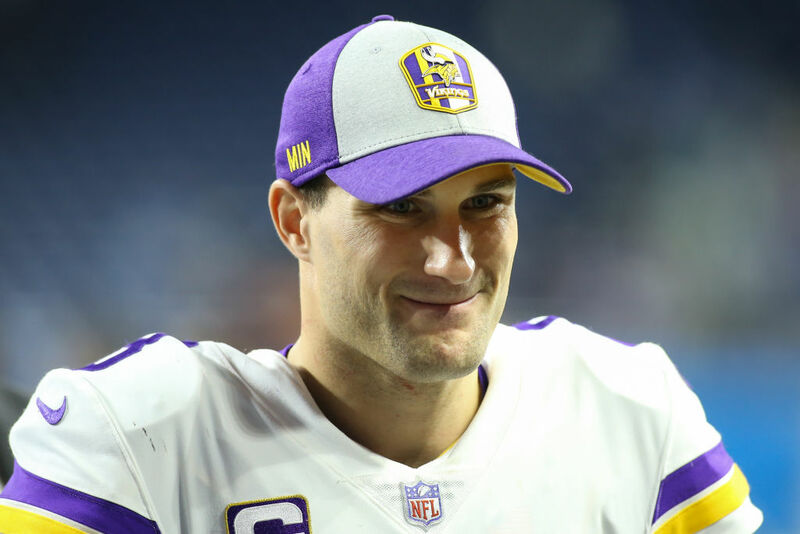 After narrowly missing out on the playoffs the season after the “Minneapolis Miracle” fans are hoping Cousins will guide the purple gold to their first-ever Lombardi Trophy. 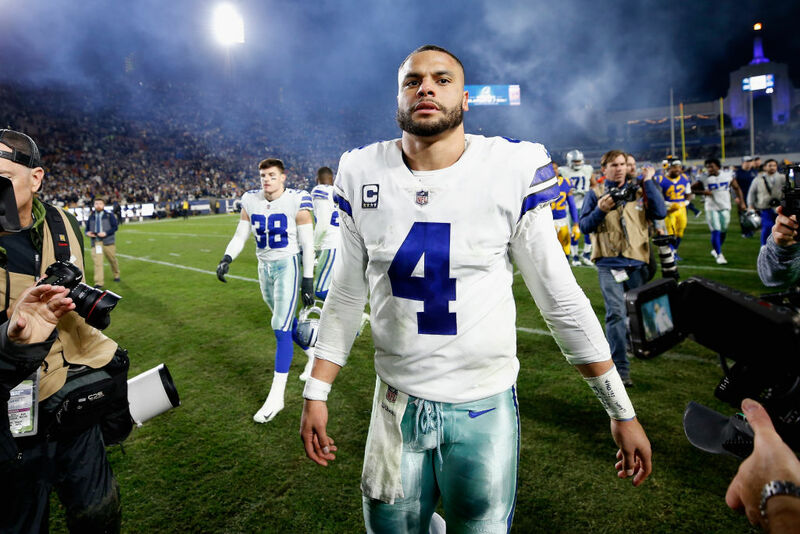 After his breakout debut as a rookie, Prescott won the Offensive Rookie of the Year Award. He had somewhat of a sophomore slump in 2017, but bounced back in 2018. The Mississippi State alum has had plenty of on-field success. But, he no longer has Dez Bryant or Jason Witten to turn to. So, now he’ll have to rely on the rejuvenated Amari Cooper and the speedy Ezekiel Elliott. If the Cowboys play their cards right, maybe one day they’ll be back in the Super Bowl. The first overall pick of the 2016 NFL Draft had a disastrous rookie season. However, after the Los Angeles Rams parted ways with Jeff Fischer, the team hired Sean McVay as the new head coach. The NFL Coach Of The Year would help his quarterback have a monstrous sophomore season, and he really turned it on in his third season. 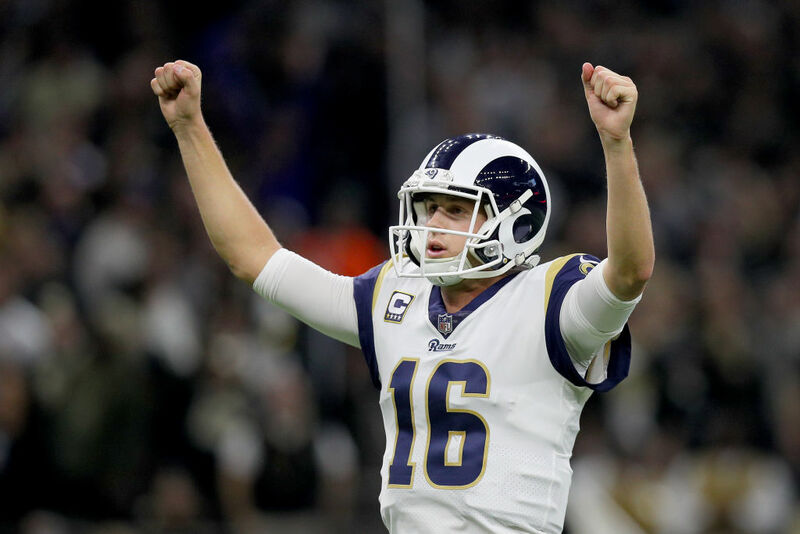 Goff accumulated 3,804 passing yards en route to his first Pro Bowl in 2017. In 2018, he guided the Rams to Super Bowl LIII against the New England Patriots. Much like Goff, the next quarterback ahead played in the Super Bowl but came up short in his only shot. One of the most hyped amateur players has finally returned to form. 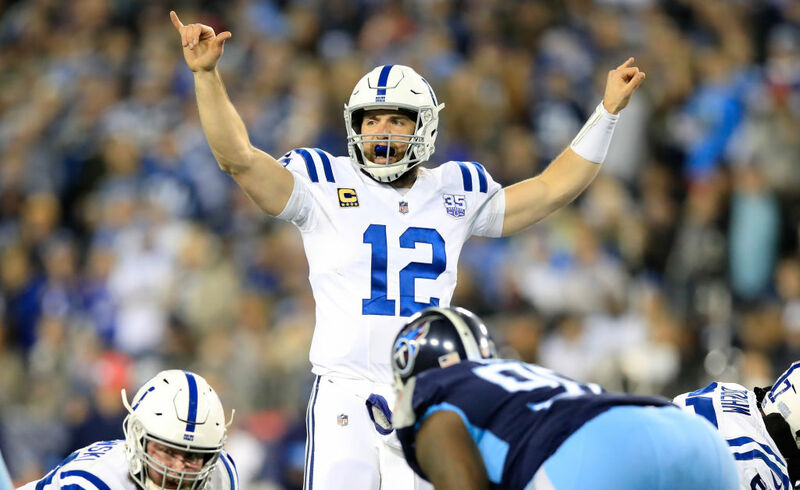 Before dealing with a nagging shoulder injury, Luck helped the Indianapolis Colts reach the 2014 AFC Championship Game. After suffering an ugly loss, Luck’s shoulder injury would force him to miss most of the 2016 and all of the 2017 season. Now that he’s back to his old self, he helped the Colts reach the playoffs in 2018. With a few additions to the team, the Colts will be dominant for years to come. Like Goff, Smith was a former number one pick. Smith was the starting quarterback for the San Francisco 49ers until injuries sidelined him. After Colin Kapernick took over the starting role, Smith was traded to the Kansas City Chiefs. He led the team to consecutive playoff appearances, only to bow out of the Wild Card or Divisional Round. The Washington Redskins believed he wa the guy to lead them to the Super Bowl. But after suffering a knee injury similar to Joe Theissman, it’s hard to tell if he’ll come back. Newton made a Super Bowl appearance in 2016. The MVP lead the Carolina Panthers to a 15-1 record, but lost to the Denver Broncos in Super Bowl 50. 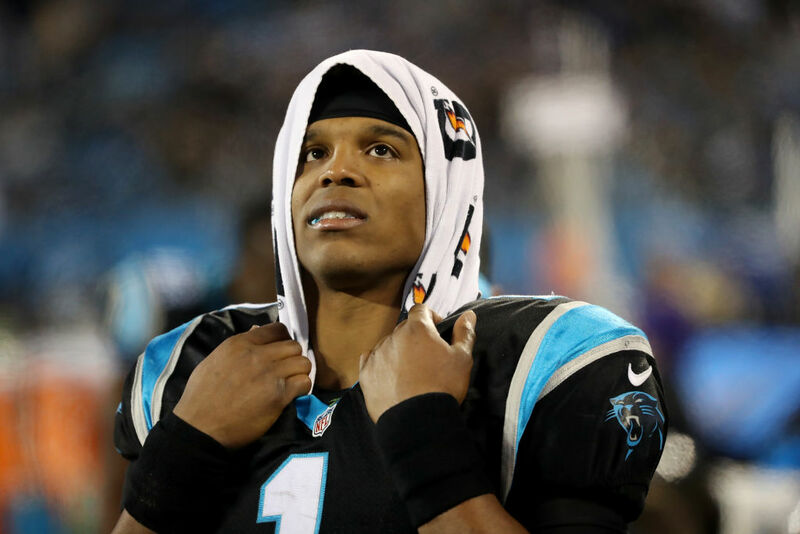 The former first overall pick’s numbers have drastically declined following the Panthers trip to the big game. Newton is arguably one of the best quarterbacks in the NFL today. If the team can ever find receivers and a better defensive core, maybe Newton will get a second chance of redemption. The next quarterback ahead suffered a historic defeat in 2016. Rivers has been slinging it with the Chargers before the team moved to Los Angeles. The former fourth overall pick of the 2004 NFL Draft has had plenty of success during the regular season. 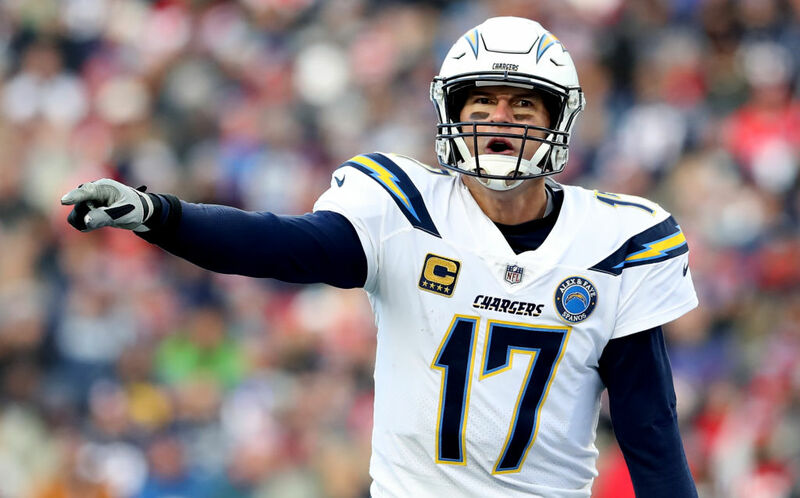 For the past 14 seasons, Rivers, one of the most elite quarterbacks, hasn’t ever made the Super Bowl. Rivers has made it to the AFC Championship Game, which was back in 2007. He has enough accolades to be a Hall of Famer, but a Lombardi Trophy would solidify his career. The savior of the Detroit Lions has thrown for over 4,200 yards in each of the past seven seasons. 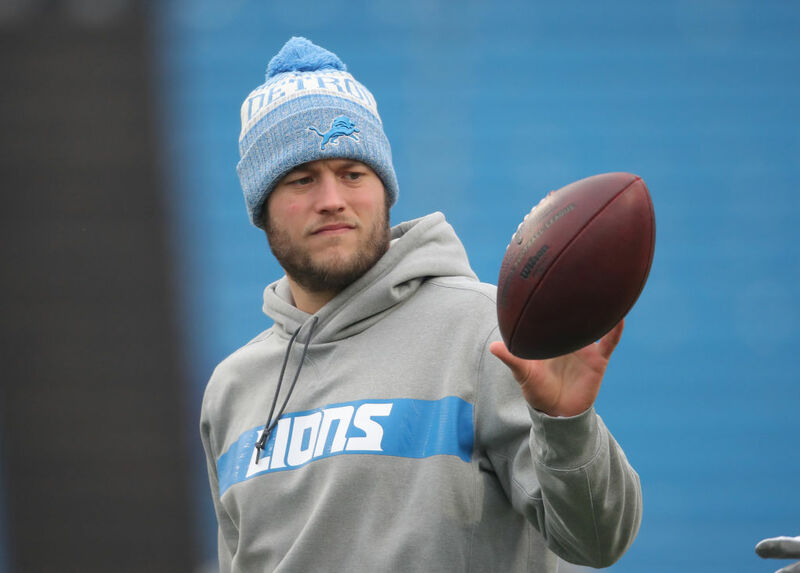 In 2011, Stafford was the fourth quarterback to reach over 5,000 yards, which is the most in his career. Despite the individual success on the field during the regular season, Stafford is somewhat cursed in the playoffs. He’s only appeared in three games, losing each of them. It could be the added pressure or the lack of depth on the Lions team. Either way, this team must act fast as time is running out for Stafford. The four-time Pro Bowler was the 2016 MVP. However, as the Atlanta Falcons marched their way to Super Bowl LI, Ryan was on the historic side of an epic collapse. The Falcons blew a 28-3 lead to the New England Patriots. Despite the historic blunder, the quarterback has thrown for over 40,000 yards in his career. 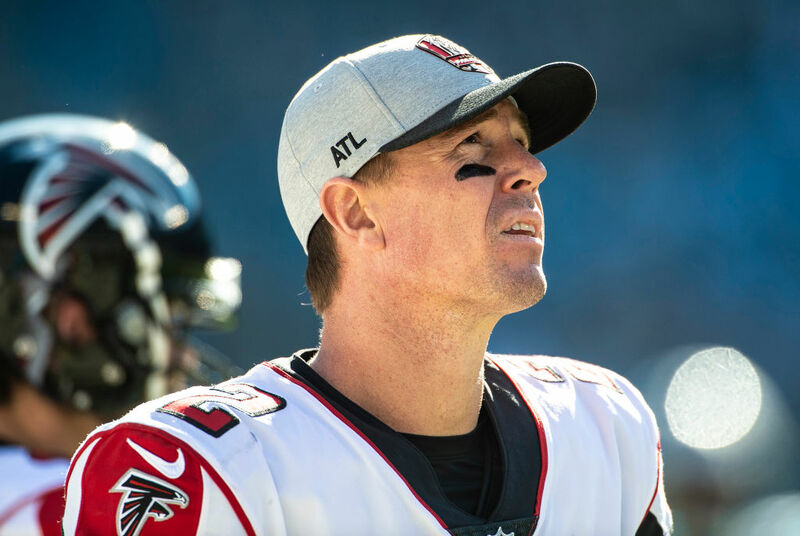 Ryan has one of the most elite wide receivers to throw to, but perhaps another receiver and pass rusher would help the Falcons reach the title game again. In 17 NFL seasons, Collins was somewhat of a journeyman quarterback. He was the Carolina Panthers first draft choice in franchise history, but played with New Orleans following his time there. The Penn State alum would guide the New York Giants to Super Bowl XXXV, where they lost to the Baltimore Ravens. Collins has defeated every team in the NFL, except for the Miami Dolphins. In 2018, the former fifth overall pick was elected into the College Football Hall of Fame. 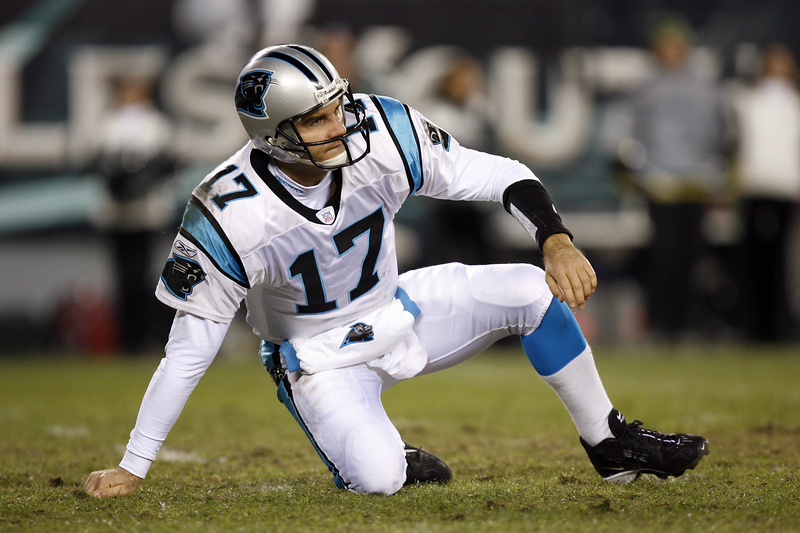 Delhomme was the Carolina Panthers starting quarterback from 2003 to 2009. The undrafted quarterback led the Panthers on a Cinderella run throughout the playoffs in 2003. After beating the Philadelphia Eagles in the NFC Championship Game, the Panthers made it to Super Bowl XXXVII. However, they would lose to the New England Patriots. Delhomme held most Panther quarterback records until Cam Newton came to town. After his playing days in Carolina, Delhomme played for the Cleveland Browns and the Houston Texans. Jake “The Snake” played ten seasons in the NFL. 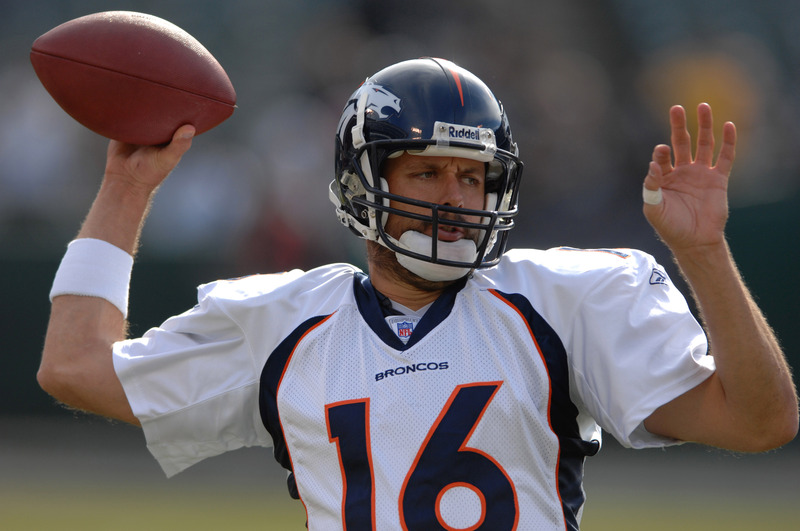 His most notable time in the league was during his time with the Denver Broncos. In 2005, he experienced his best season as a professional as he threw 239 passes without an interception. Even though he had six playoff appearances, Plummer never saw the Championship Game or even the Super Bowl. As of 2018, Plummer still owns two Bronco franchise records for passing yards in a game and passer rating in the playoffs. The next quarterback started his career in the CFL. 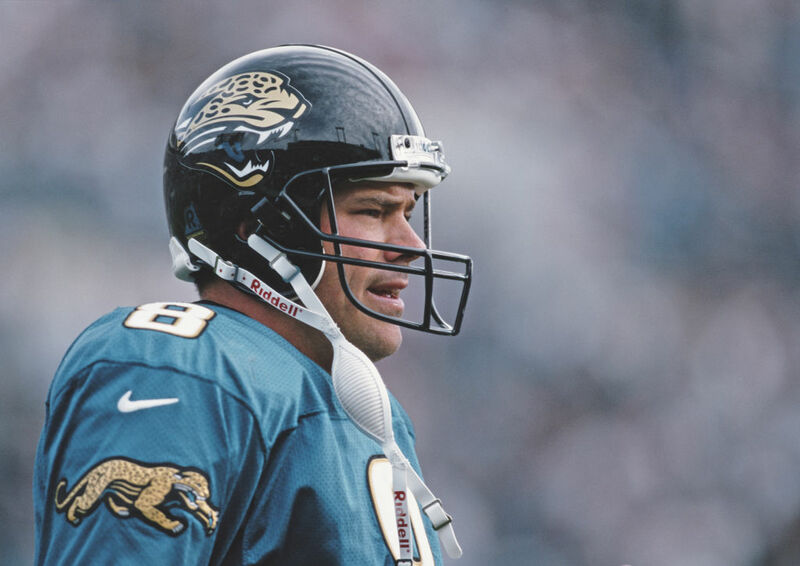 During his years in Jacksonville, Brunell was selected to the Pro Bowl three times. With Brunell starting, the Jaguars had plenty of playoff success. 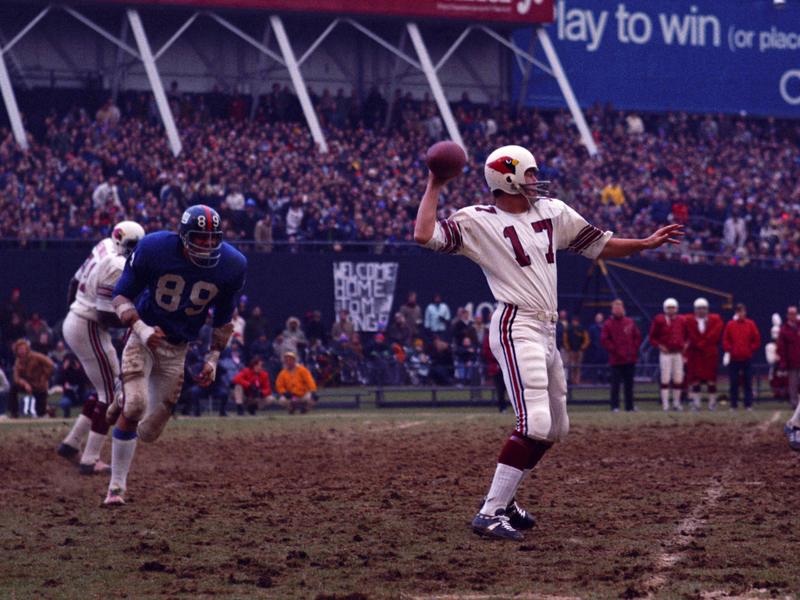 The team became the first NFL expansion franchise to make the playoffs three times in its first four seasons of play. The Washington alum led the team to the 1996 AFC Championship Game, losing to the New England Patriots. They returned again in 1999 but lost to the Tennessee Titans. In December 2013, the team inducted Brunell into the Pride of the Jaguars, the team’s Hall of Fame equivalent. Long before he was a coach, Harbaugh was an NFL quarterback. 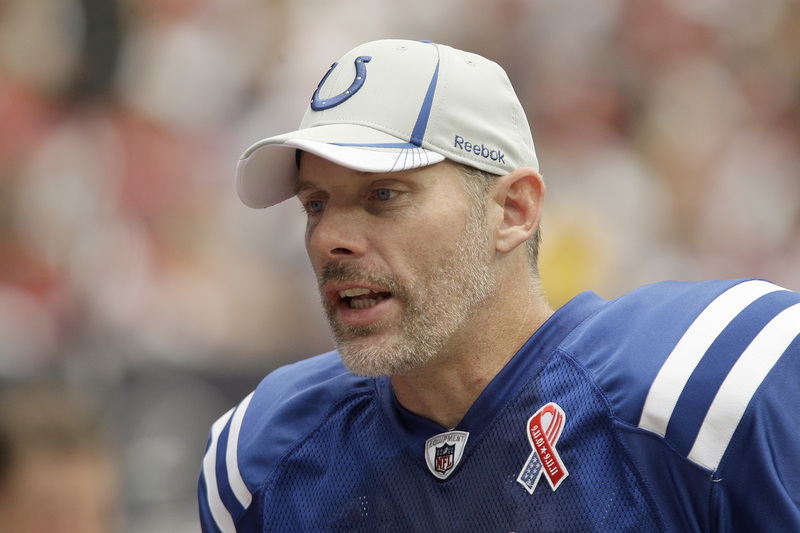 In his first season with the Indianapolis Colts, he led the team to the AFC Championship Game. However, Indianapolis would lose to the Pittsburgh Steelers. After his playing days were over, the Michigan alum turned to coaching. He started out as a quarterback coach for the Oakland Raiders, then the head coach at the University of San Diego. Harbaugh would coach the San Francisco 49ers to Super Bowl XLVII, losing to his older brother. Garcia started his career in the CFL. The four-time All-Star soon found a home with the San Francisco 49ers. He would lead the team to two consecutive playoff appearances in 2000 and 2001. After facing a low point in his career, Garcia was faced with losing seasons in Cleveland and in Detroit. However, the San Jose State alum found a new life with the Philadelphia Eagles, leading them back to the playoffs. Despite making playoff runs, Garcia never saw a chance at a Super Bowl. The quarterback who got Seattle to their first Super Bowl is coming up. The first overall pick of the 2003 NFL Draft was the Cincinnati Bengals quarterback for eight seasons. During his tenure in Cincinnati, he helped lead the team to its first winning season and playoff appearance in 15 years and was named to two Pro Bowls. 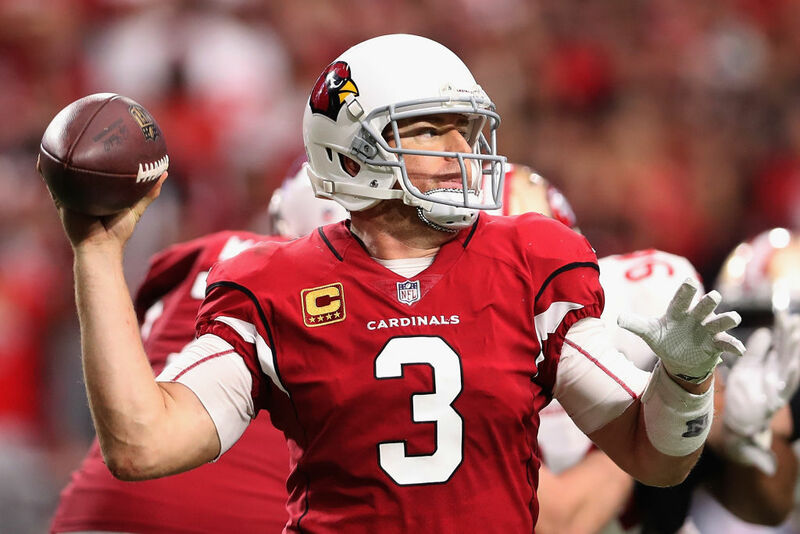 After declining success, Palmer found a new home with the Arizona Cardinals. He enjoyed his most successful year in 2015. He guided the Cardinals to the team’s first NFC Championship since 2009, losing to the Carolina Panthers. It was the closest he would get to a Super Bowl. Everett had a productive NFL career, especially with the Los Angeles Rams. During his tenure with the team, he was a statistical leader in numerous passing categories. 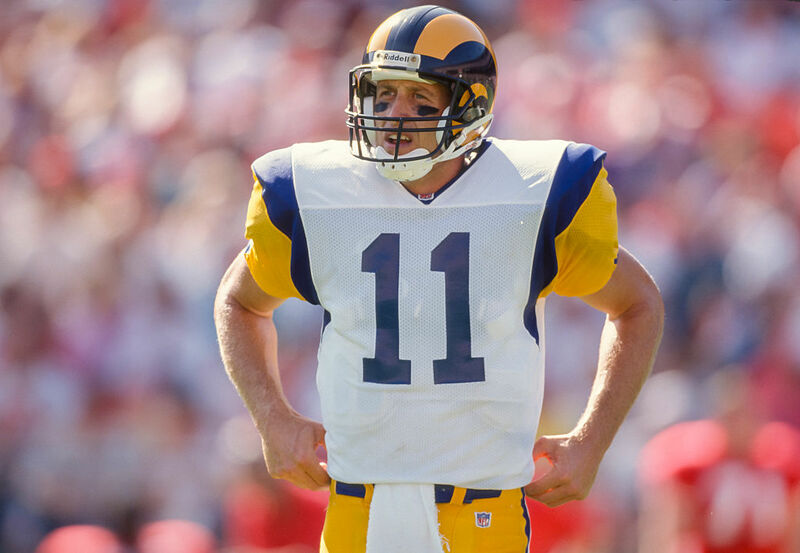 Also, he led the Rams to three consecutive playoff berths from 1986 to 1989. Despite making the playoffs, Everett and the Rams never reached the Super Bowl. 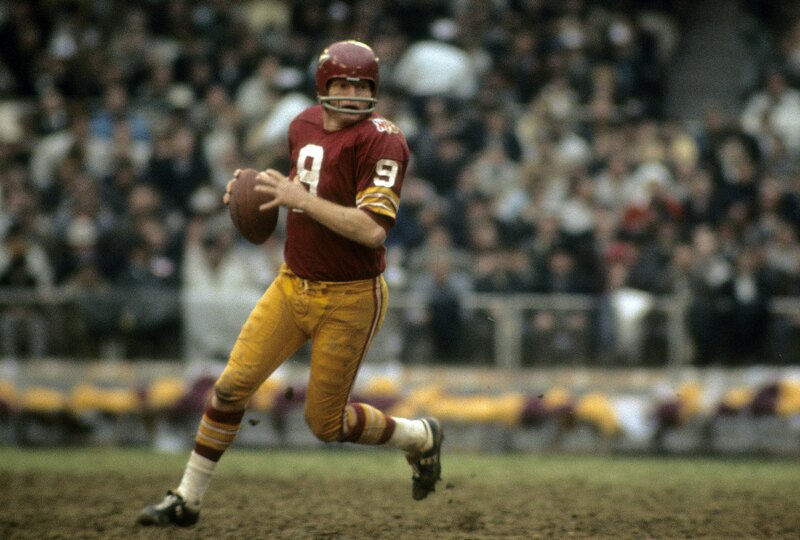 His two postseason victories tied him with James Harris and Norm Van Brocklin for second-most playoff victories during the team’s first stint in Los Angeles. 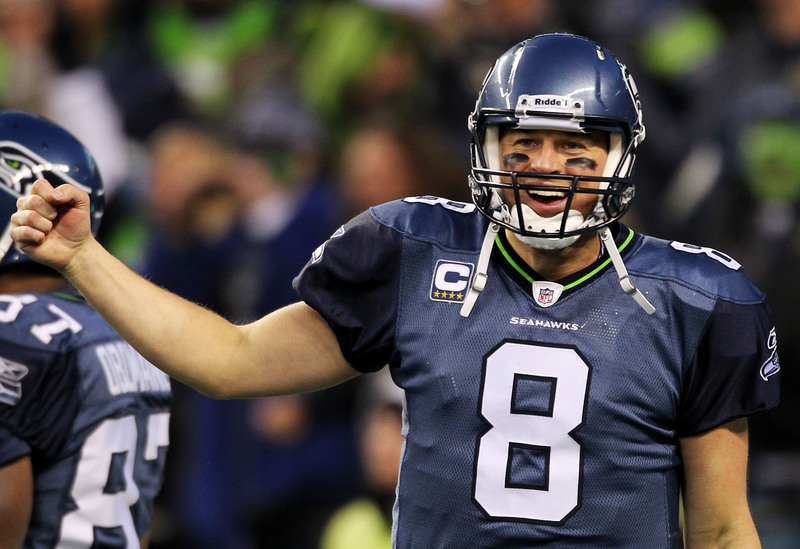 A Green Bay sixth-round pick in 1998, Hasselbeck would find success in Seattle. During his tenure with the Seahawks, the Boston College alum led the team to six playoff appearances. In addition to those playoff runs, the quarterback guided the Seahawks to their first Super Bowl appearance in 2006. Unfortunately, they fell short to the Pittsburgh Steelers. The three-time Pro Bowler would go on to play for Tennessee and Indianapolis. Plus, he was named to the Seattle Seahawks 35th Anniversary Team. 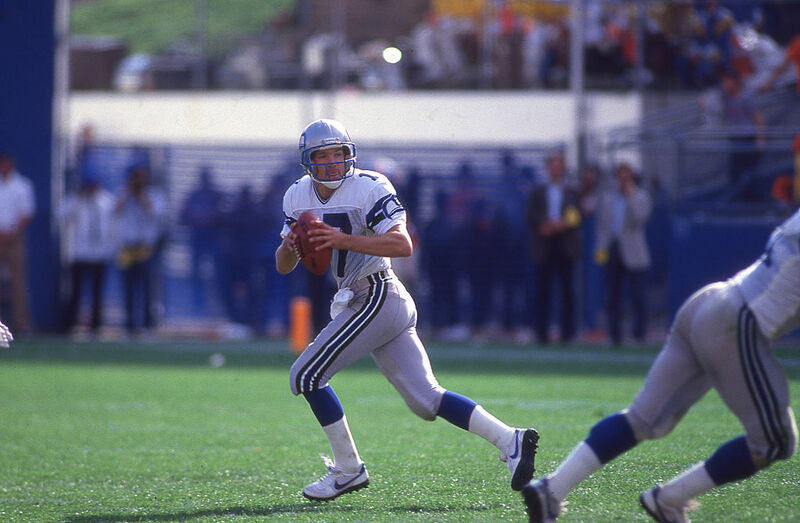 The former punter and quarterback of the Dallas Cowboys led the Cowboys to three consecutive NFC Championship Games from 1980-1982. However, the Arizona State alum was heavily criticized for losing each of the three games. In addition, White faced criticism for siding with the owners during the 1982 NFL Strike. Being Roger Staubach’s successor and never reaching the Super Bowl contributed more to White being an unappreciated player for the franchise.